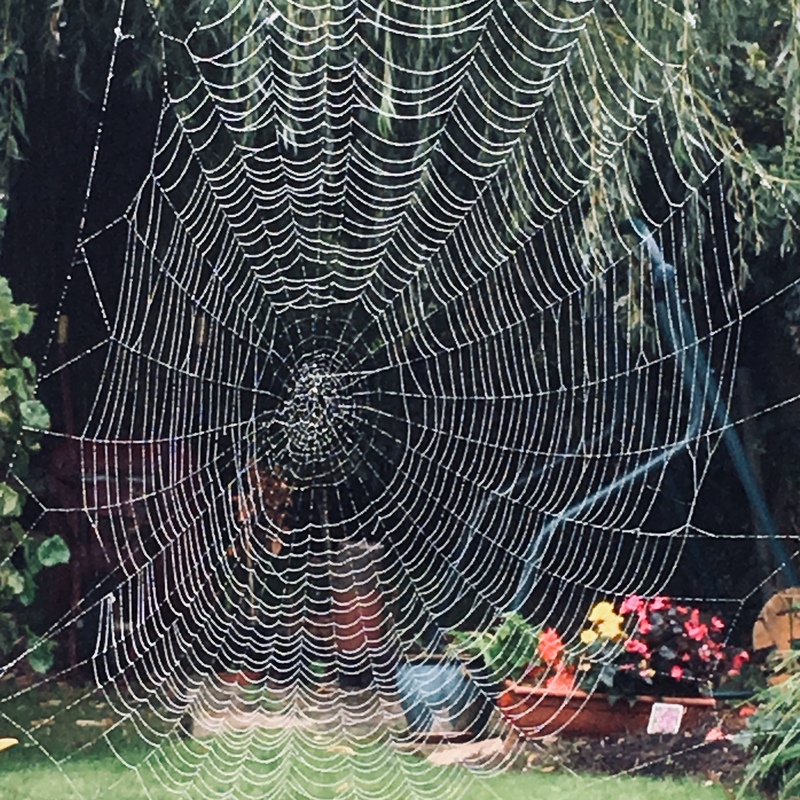 On Thursday morning there was a very light drizzle that revealed everything that the spiders built overnight. This silken barrier was stretched between the conservatory and the garden fence. suspension building at its best?